Manufacturer & Exporter of Planer Machines. Our product range also comprises of Round Bar Straightening Machine, Planing Machines and Plano Millers. Our clients can also avail vast variety of Planer Machine. These Planers Machines are resistant to degradation that ensures its durability and reliability. 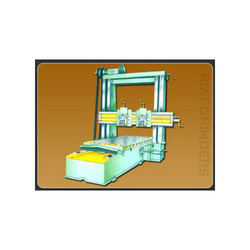 We offer Planer Machine with following specification. Looking for Planer Machines ?